Las Vegas, NV – September 16, 2014 – [OTCBB – LTUM] These are exciting times for Lithium Corporation. The close of our first Asset Sale is pending, and it appears that the battery manufacturing industry is strengthening in the US. I am referring to our Asset Purchase Agreement (APA) with PATHION, a privately held vertically integrated energetic applied materials and advanced battery technology company, and the recent news made public that Tesla Motors, Inc. has chosen a site in northern Nevada to commence the construction of its battery manufacturing “gigafactory”. 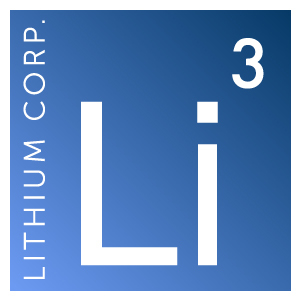 These two pieces of news together highlight that Lithium Corporation is actively involved in a rapidly changing and growing sector of the economy. Our agreement with PATHION will provide us with capital to continue exploring for value in the basic materials sector with a primary focus on portable energy and energy storage related materials. Additionally, the equity position Lithium Corp. receives in PATHION leverages our Company into the world of applied materials and batteries. We strongly feel that PATHION is going to be a major player in this field and that Lithium Corporations’ association with them will be mutually beneficial in both the short-and-long term. Lithium Corporation views the recent news released that Tesla has selected a site outside of Reno, Nevada as the site for their battery “gigafactory” as a very positive advancement for our Company and for the future of exploration for lithium and graphite deposits in the Great Basin, and North America in general. The proximity of our properties and exploration efforts to the location of the proposed Tesla factory could give our Company an advantage with respect to establishing a role in the supply chain. We are of the opinion that Tesla considered the proximity of the necessary materials such as lithium when choosing the “gigafactory” site; this assures us that we have been searching in the right areas, and pleases us that the value of our exploration database has been enhanced. It is also quite likely that the location of this factory (the only one of its sort in North America) will increase the likelihood for Nevada to soon become an innovation center for battery research and development; such a situation has potential to create a hub of activity and an environment that will attract potential future business partners for Lithium Corporation. The PATHION relationship affords Lithium Corporation more insight with respect to Research and Development at a time that battery technology is rapidly changing. We might be remiss if we were to not expand our horizons and entertain the possibility that there may be other early-stage opportunities with respect to commodities that researchers may only now be identifying as necessary for evolving battery technologies. Recent press from Tesla and others indicate that there could very well be the need for several battery “super factories” in North America. It is likely not all of these will only be geared towards Lithium-Ion battery production, as it has become apparent that the Lithium-Ion battery may not be the be-all-end-all with respect to a number of applications. For instance, the rapid pace of adoption of diurnally sensitive power generation (solar, wind, tide) has necessitated the development of more appropriate larger scale or differing architecture or chemistry batteries such as the Aluminum-Air, Vanadium Redox, or Graphene Super-capacitor. It is the Company’s intention in the future to judiciously allocate resources to determining what opportunities might exist with respect to the variety of resources that might be necessary should any up and coming battery technology experience large scale acceptance. This current report contains “forward-looking statements,” as that term is defined in Section 27A of the United States Securities Act of 1933 and Section 21E of the Securities Exchange Act of 1934. Statements in this press release which are not purely historical are forward-looking statements and include any statements regarding beliefs, plans, expectations or intentions regarding the future, including but not limited to the construction of the Tesla Motors, Inc. site in northern Nevada for battery manufacturing “, that the proximity of our properties and exploration efforts to the location of the proposed Tesla factory could give us an advantage with respect to establishing a role in their supply chain, that Nevada may become an innovation center for battery research and development, or that this may attract potential future business partners for Lithium Corporation.